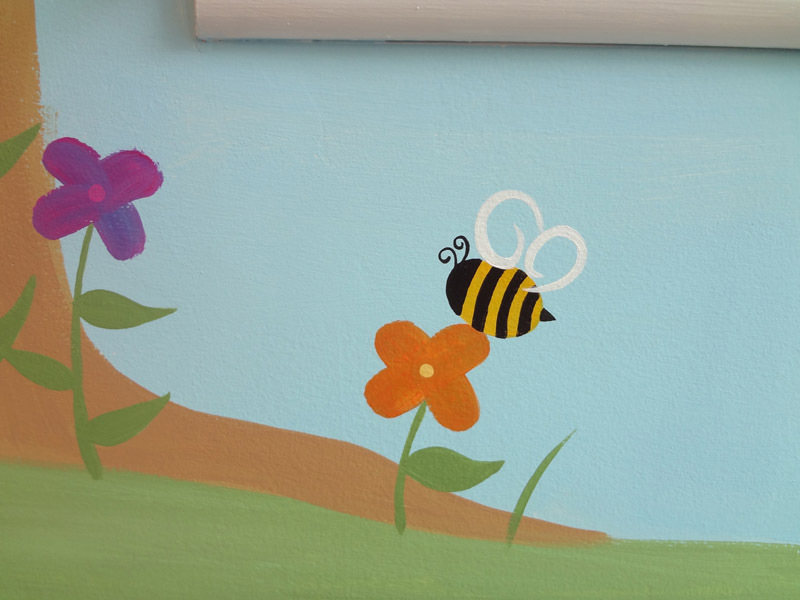 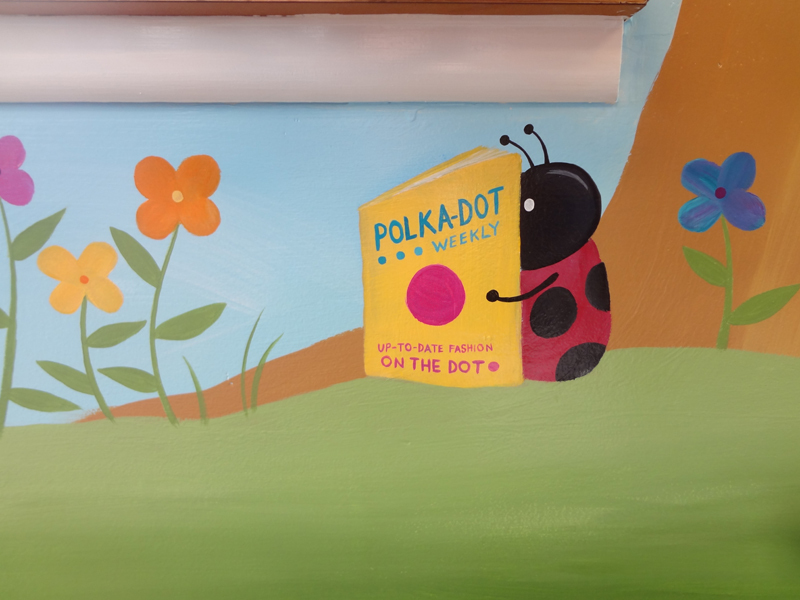 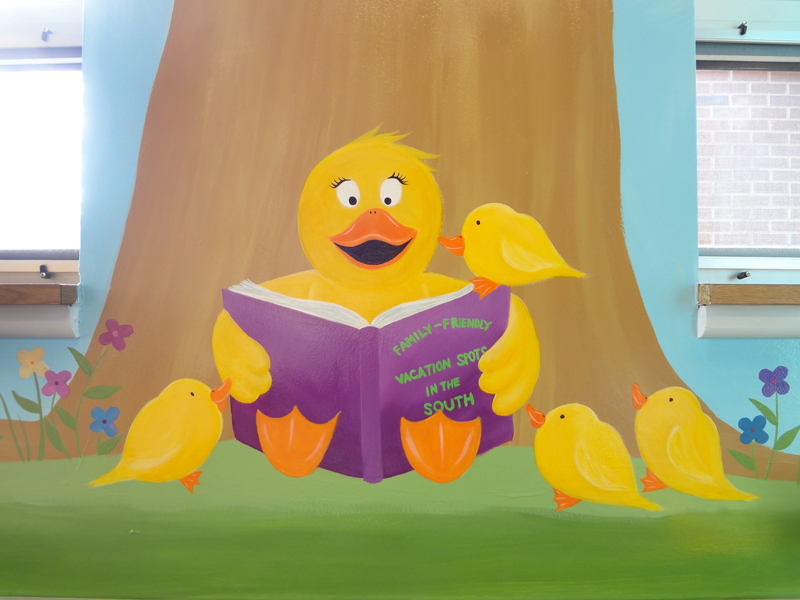 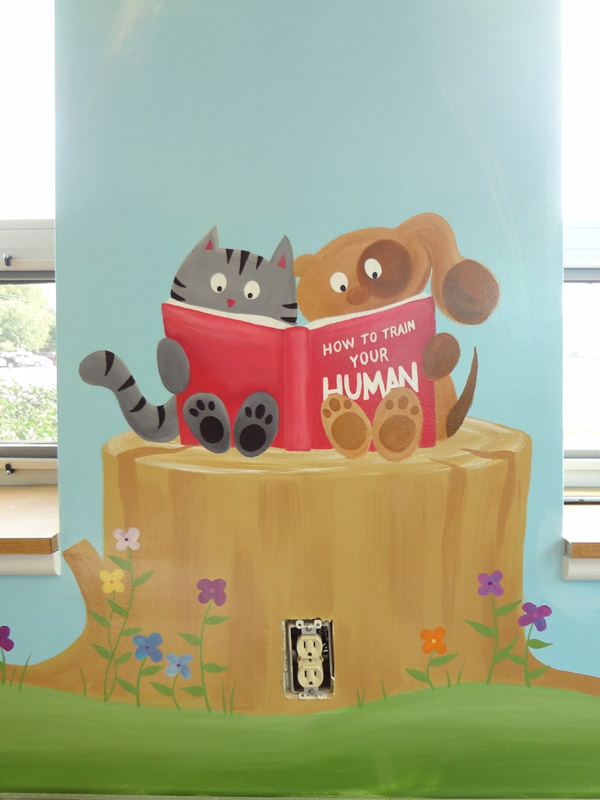 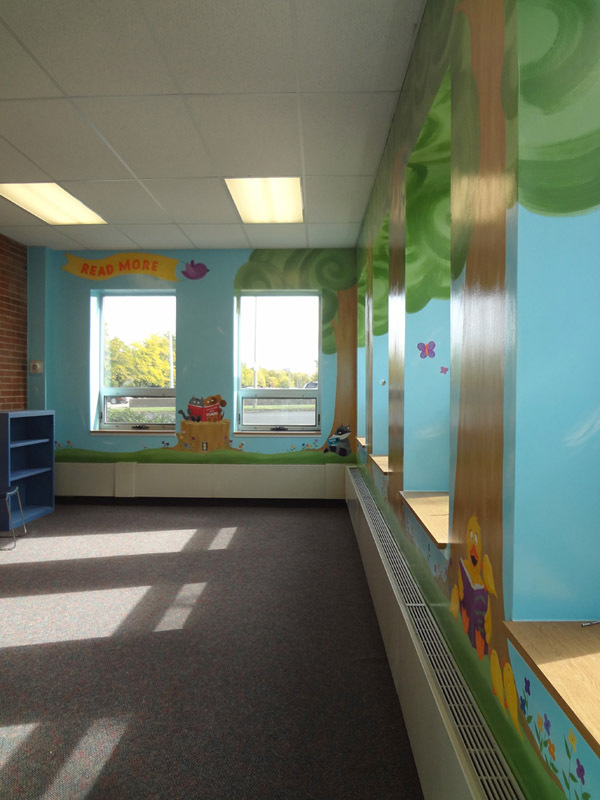 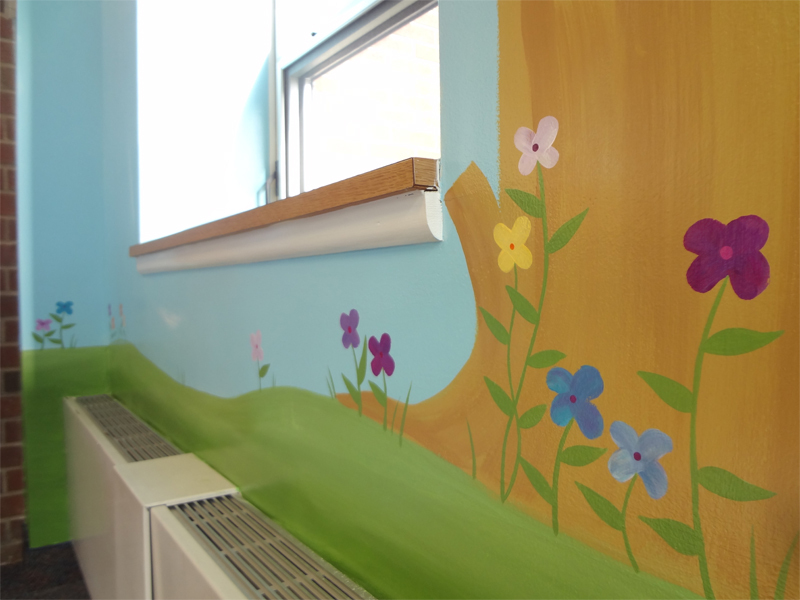 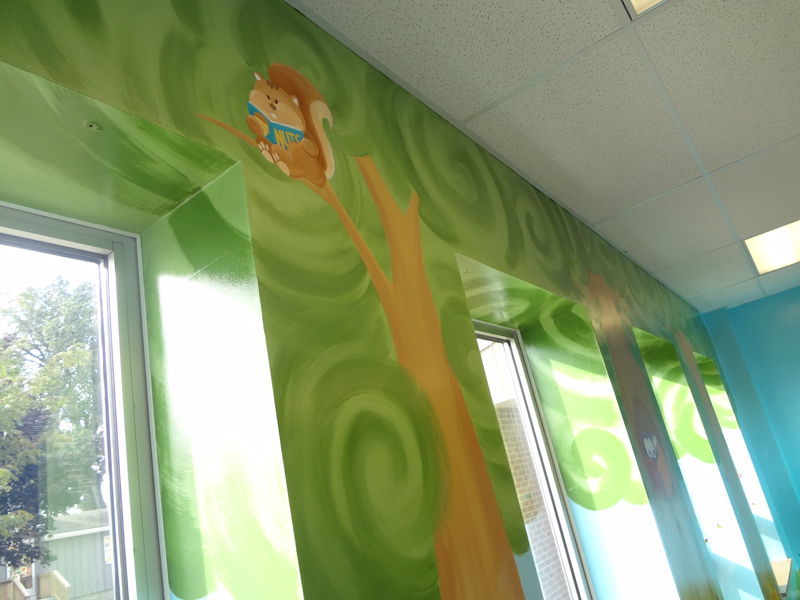 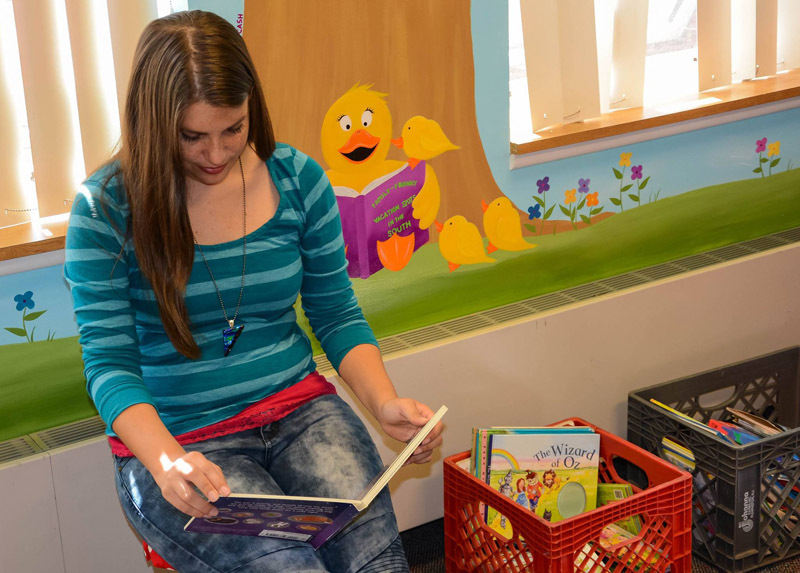 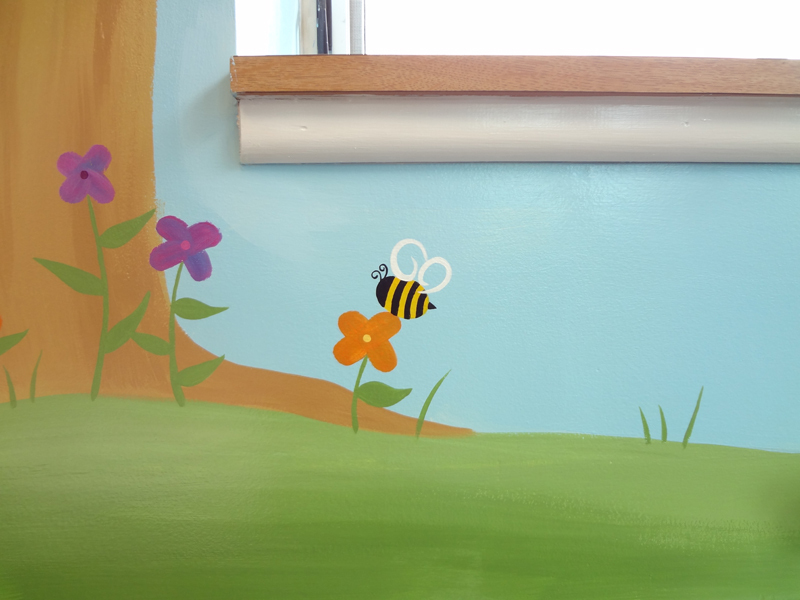 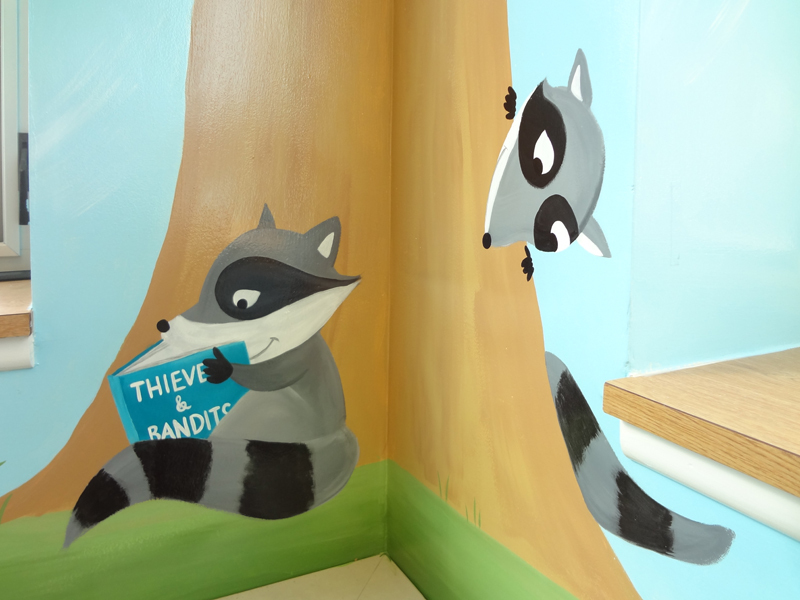 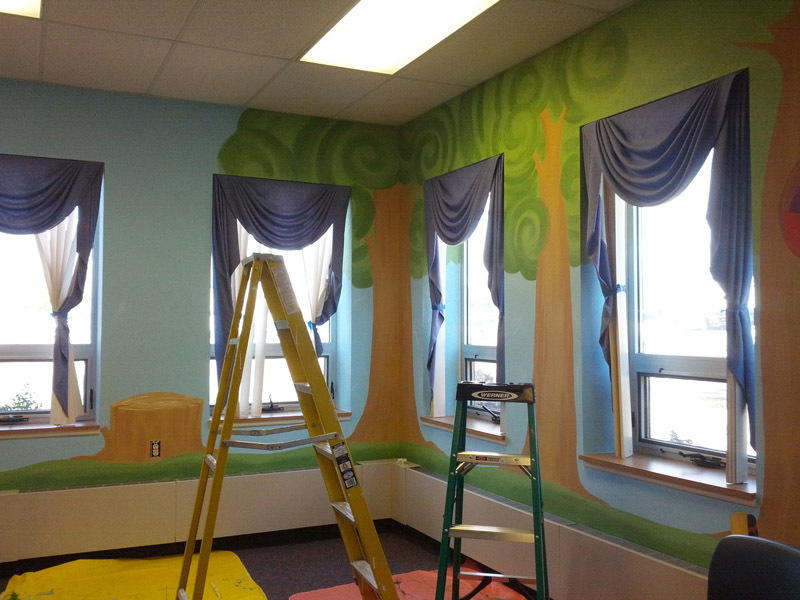 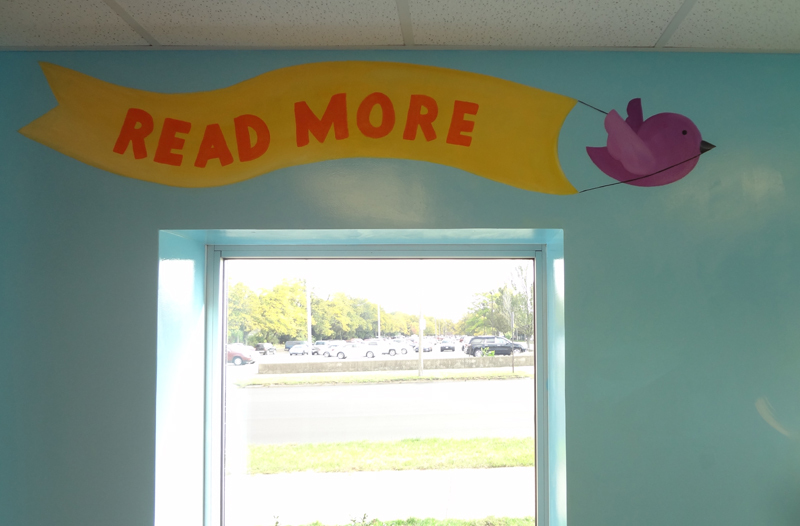 During the Summer of 2015, I was commissioned to do a reading nook mural in the Salvation Army community center on Liberty and 11th. 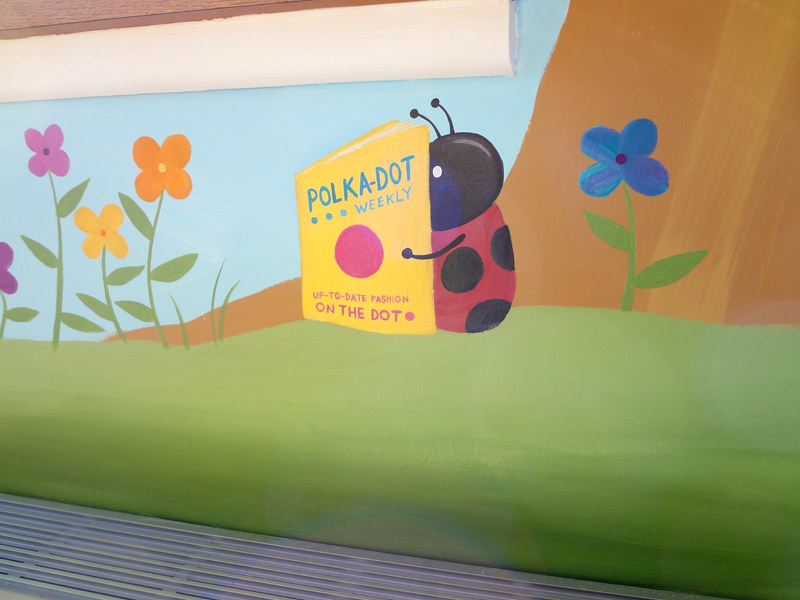 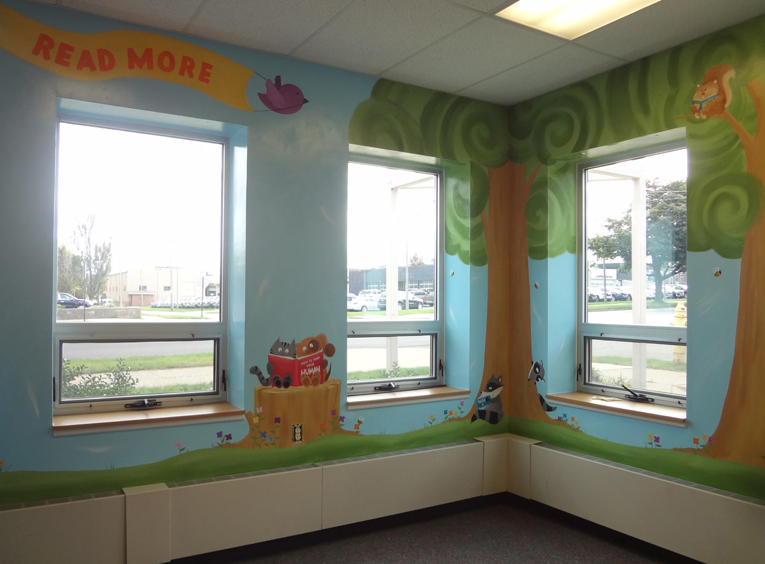 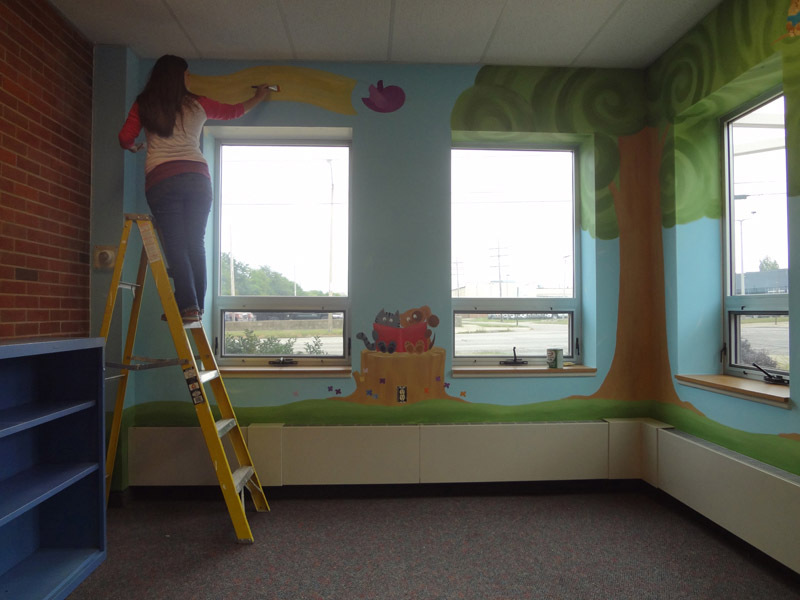 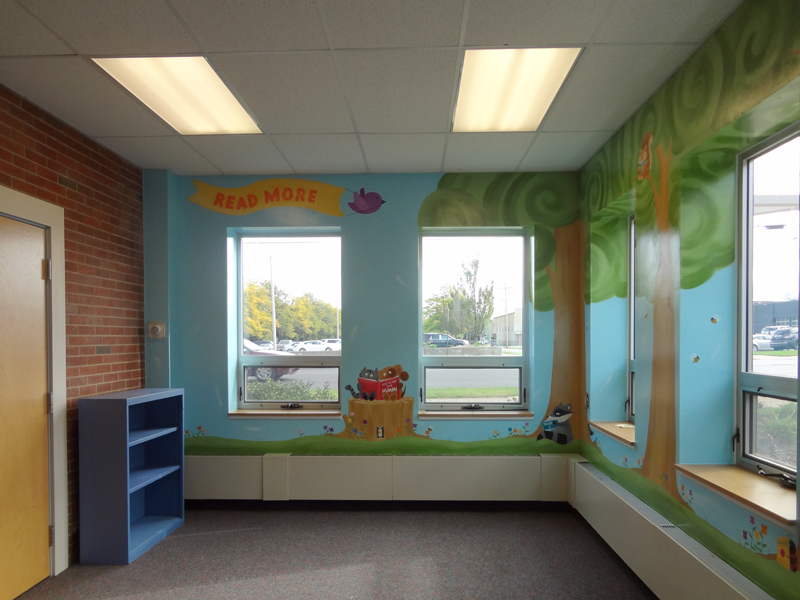 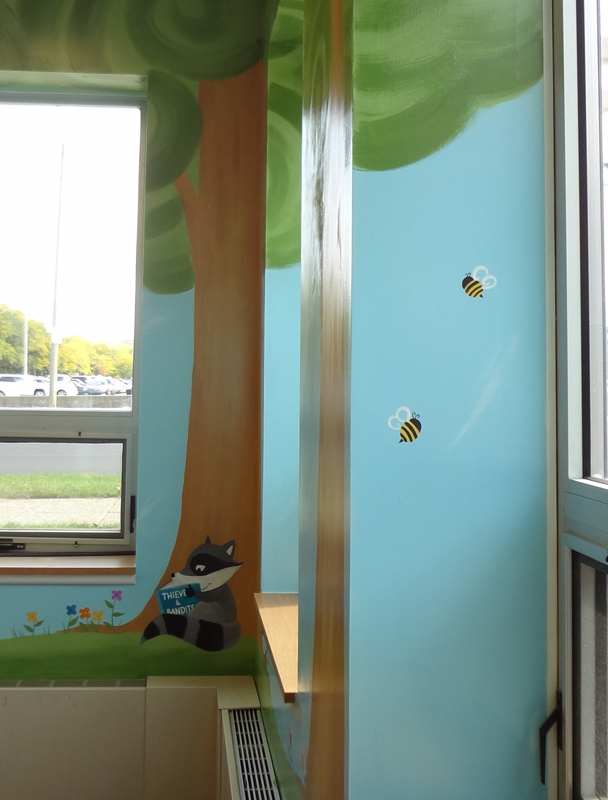 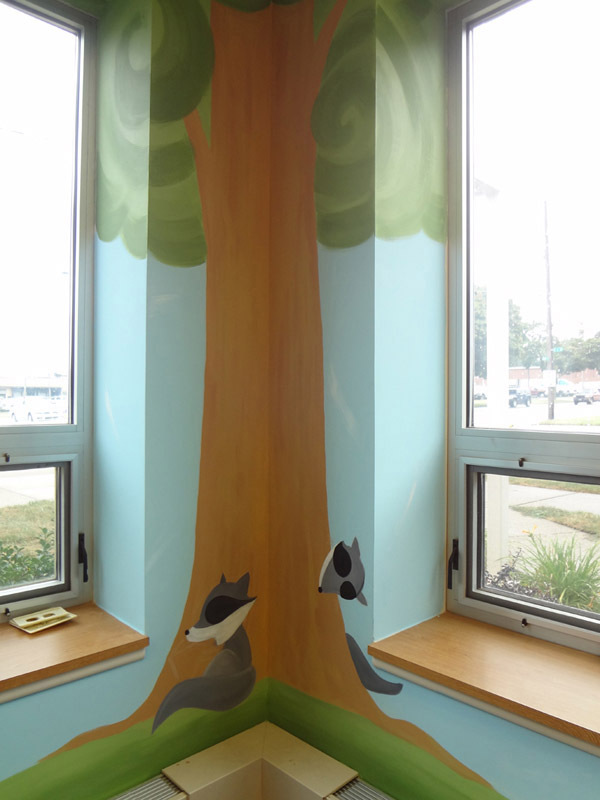 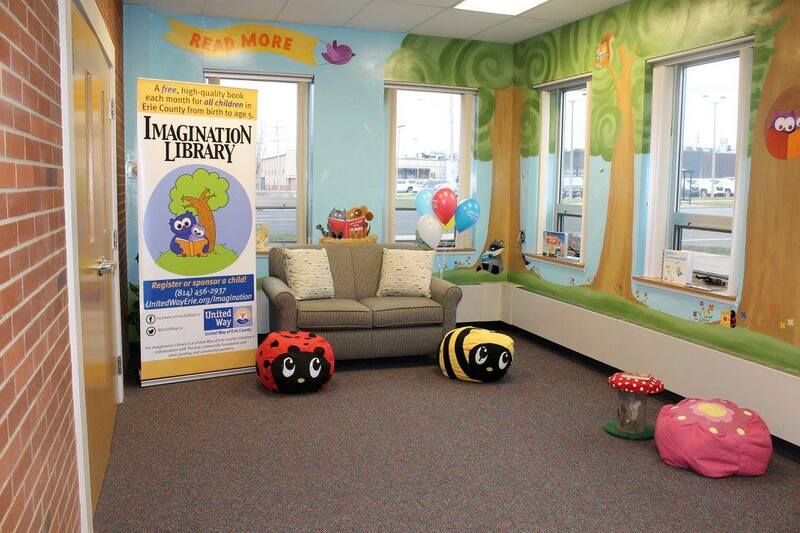 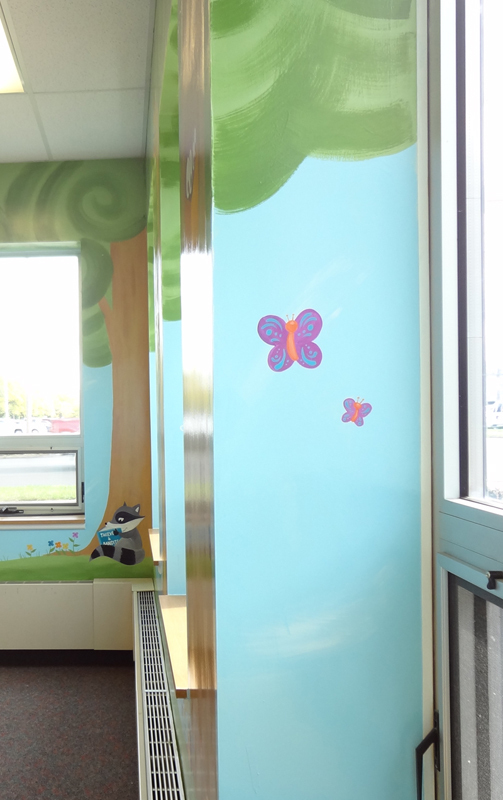 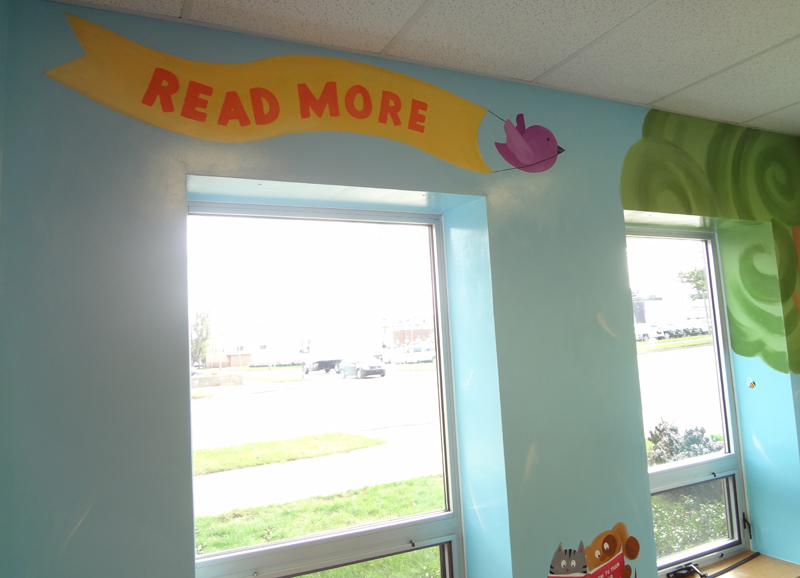 This is similar to my previous reading nook mural, in that it was also a collaboration with the Junior League of Erie and United Way Erie. 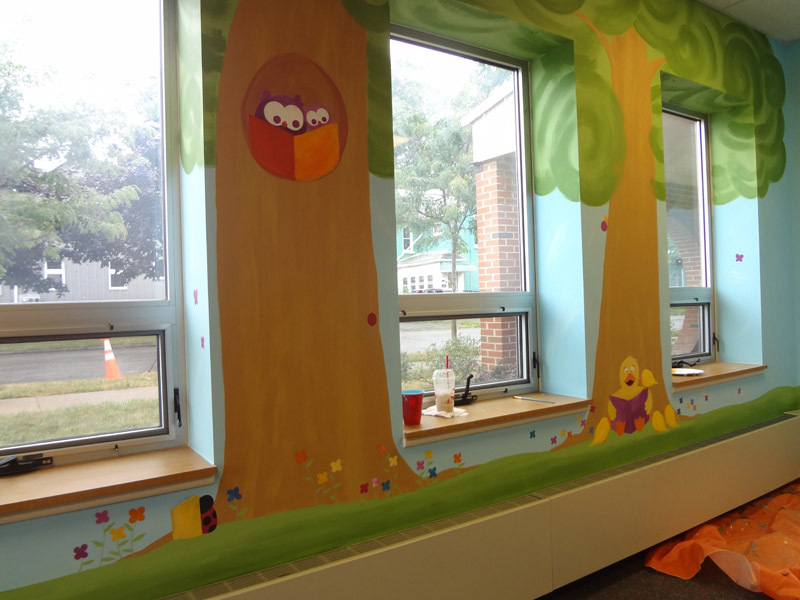 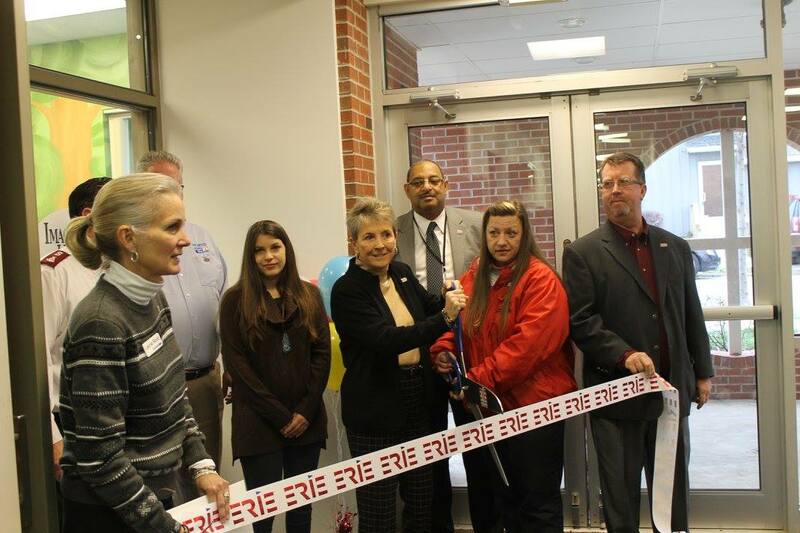 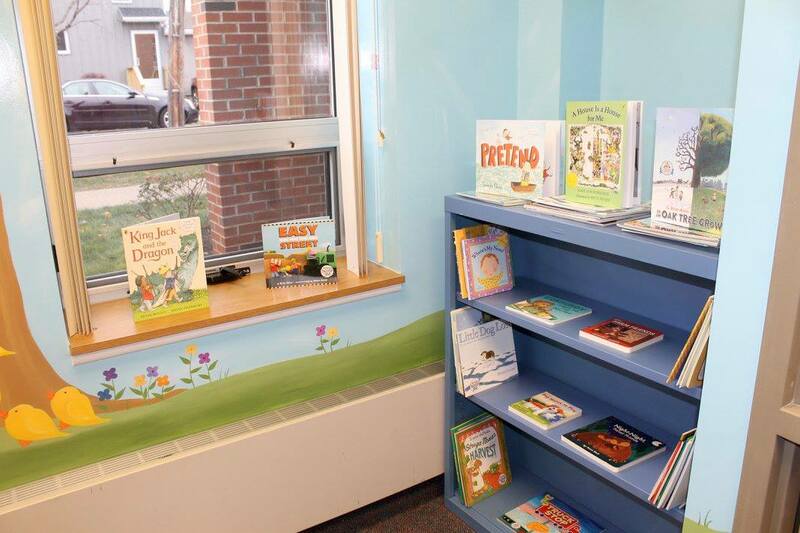 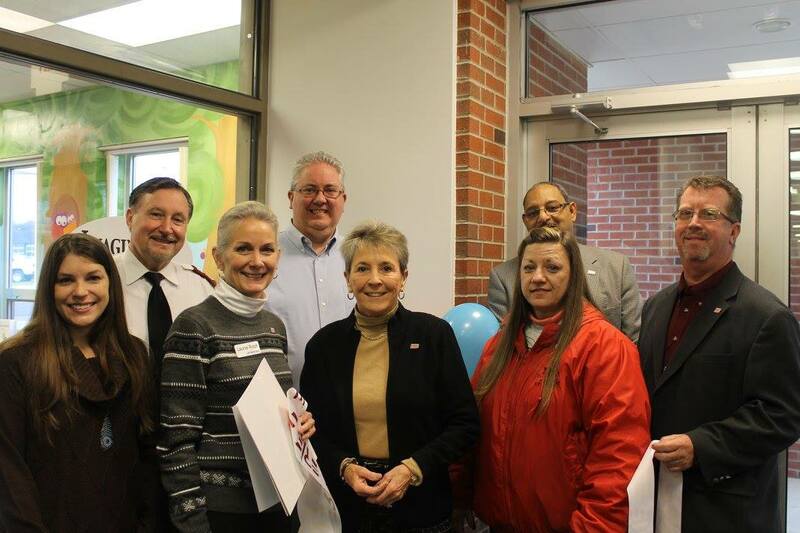 However, the theme was more in line with the feel of United Way’s Reading Buddies program. 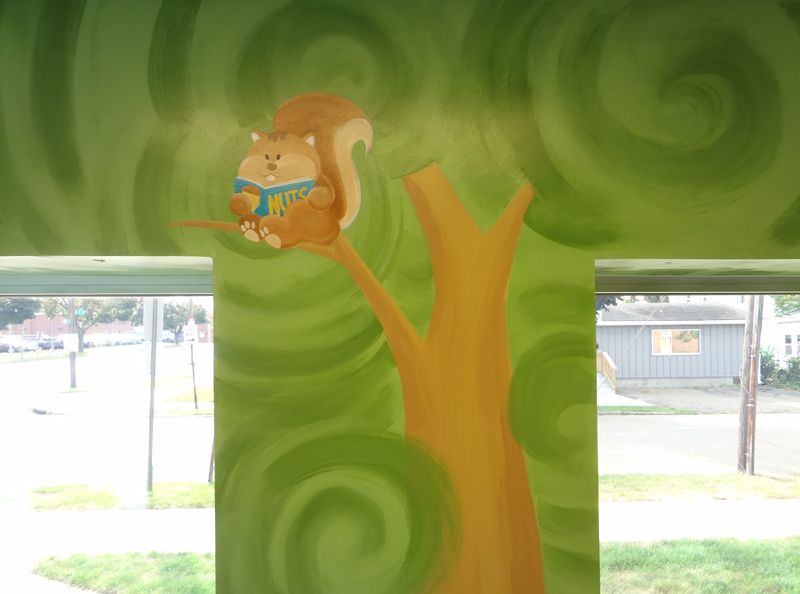 For this mural, I did a “Reading in the Park” theme. 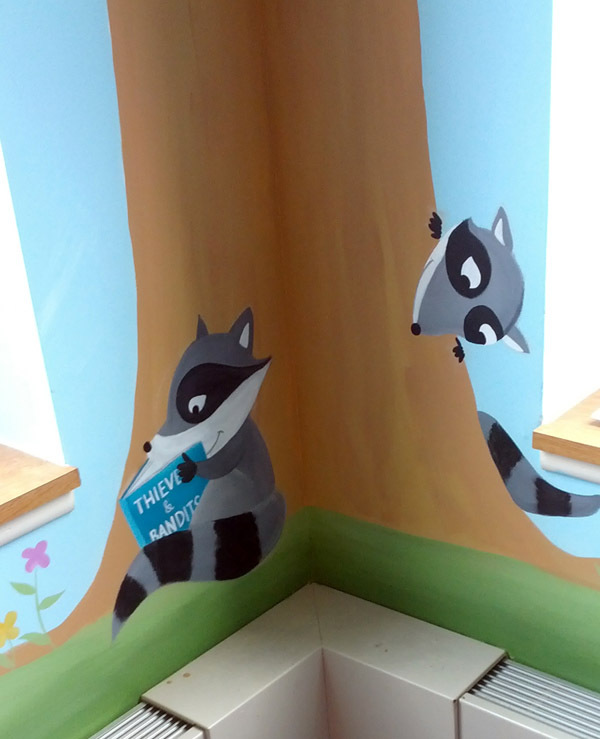 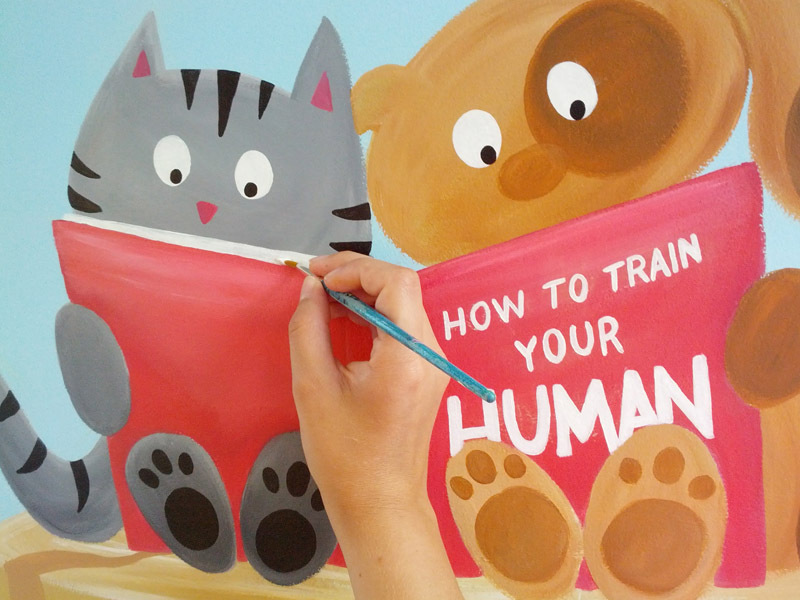 I included animals scattered around the trees in the park, reading cute, clever books. 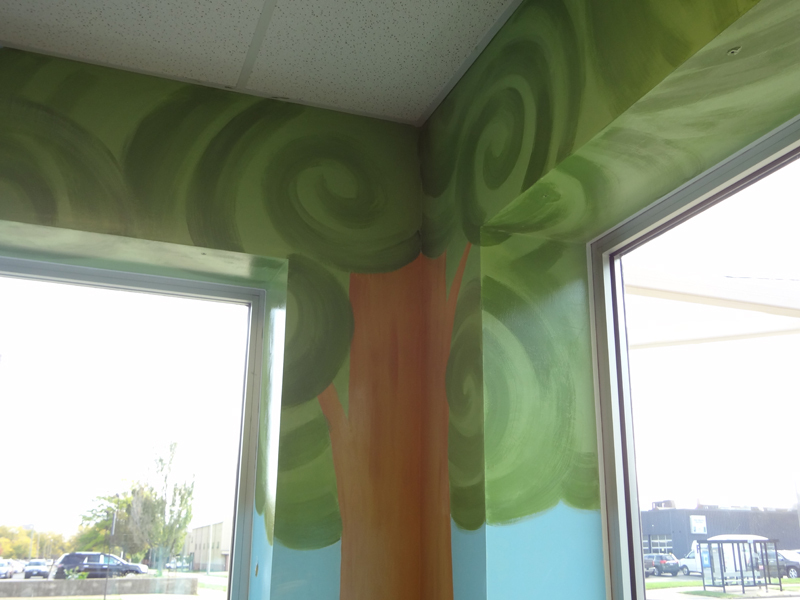 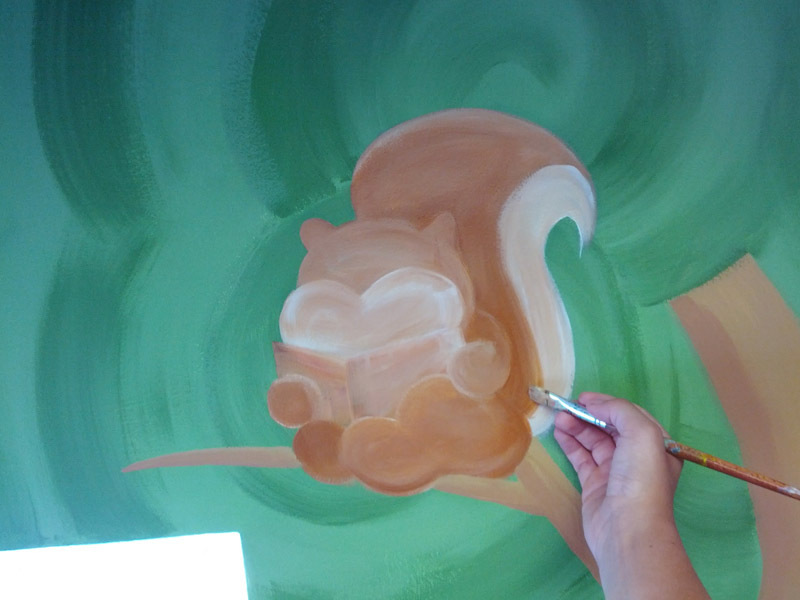 For some extra whimsy, I did the treetops in green swirls and included flowers of many different colors all along the ground. 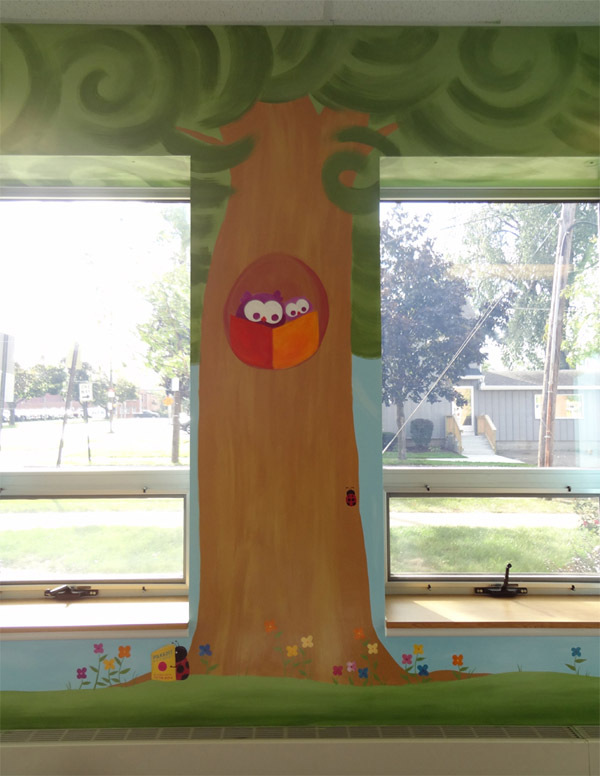 I also included the Reading Buddies’ mascot, two purple owls reading a book together, in a hole in one of the trees. 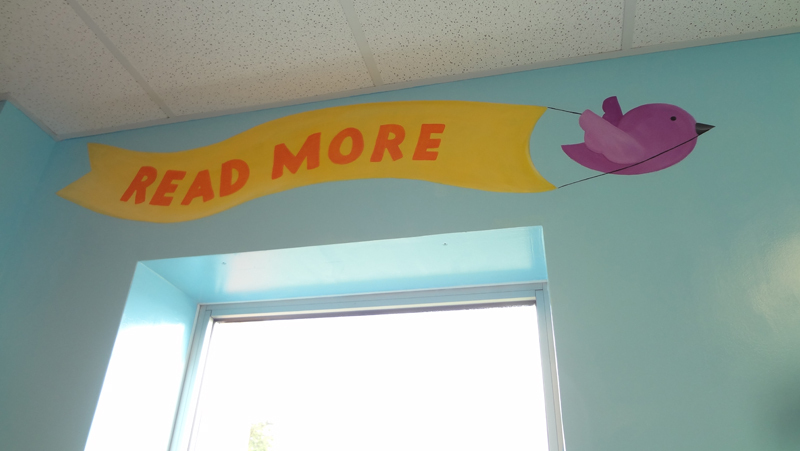 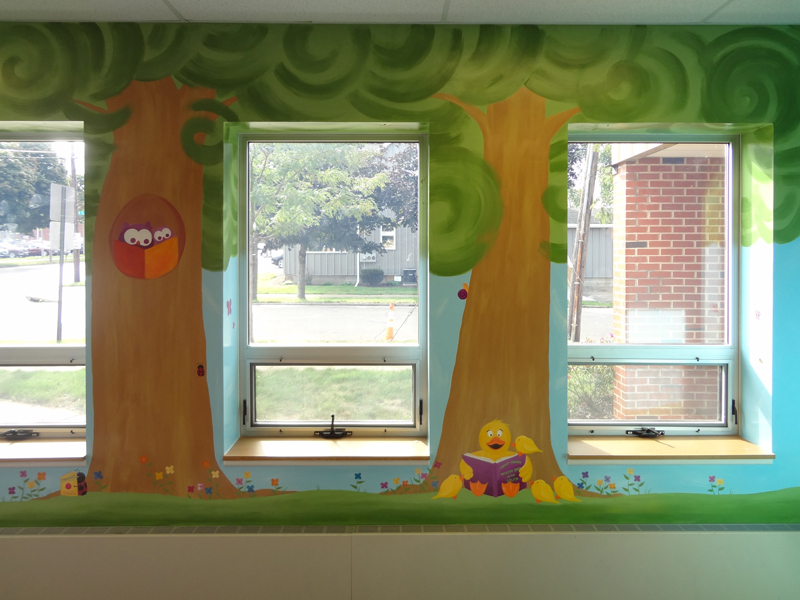 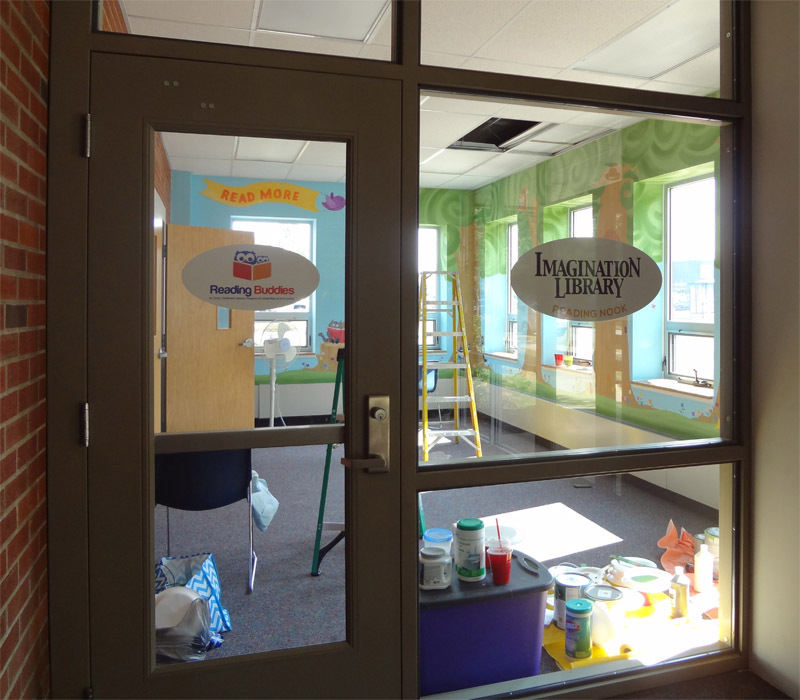 In addition, a bird flying a banner with the Reading Buddies tagline, “Read More”, can be seen above one of the windows.